This week, thousands of members of the Drupal community have come together to share insights and to celebrate the power of open source. Embracing knowledge transfer, the Digital Transformation and Enterprise track stands out as accessible for developers, marketers and business owners alike. From ambition, through innovation and implementation, the Digital Transformation track is not strictly technology-focused; rather it looks to the real-world impact of Drupal and how its adoption can transform the nature of a business. Chatham House is a not-for-profit, non-governmental organisation with a mission to help governments and societies build a sustainably secure, prosperous and just world. 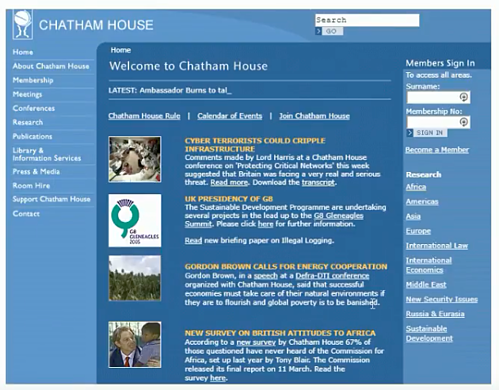 An audience survey in 2005 revealed that the Chatham House website was inaccessible and uninspiring. People were unable to access key reports and information in the “dull and academic” website. Between 2004-2009, Josie Tree, Head of Digital Strategy and Development, built a case for the digital transformation at Chatham House. Providing evidence of success, building positive relationships and harnessing the power of healthy competition all proved vital. Working towards a clearer strategy, the plan was to ‘stop fire-fighting and refocus on priorities’. 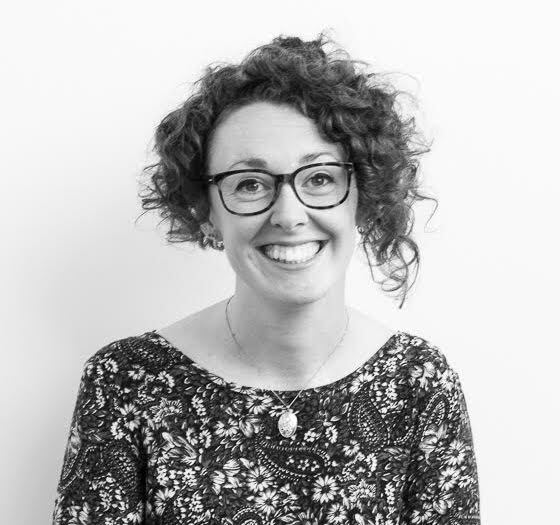 Fear of change, cultural barriers and the ongoing battle for budget all hold back innovation; but Josie recognises that crisis can be an opportunity. The Chatham House website is content-heavy, with a set of complex requirements. Drupal offers the editorial flexibility they need, along with an open source ethos that reflects the Chatham House commitment to knowledge transfer. With a flexible platform and determined digital champions, the possibilities of Drupal are infinite. What’s more, as the Drupal Europe conference demonstrates, Drupal is well-supported, widely used and comes from an inumerable choice of development partners. Drupal acts as an ideal springboard for success, with endless possibilities. How could digital better support the Chatham House mission? A new strategy focused on improving the reputation of Chatham House, prioritising outputs, investing in marketing efforts and utilising insights from feedback. As with any strategy, this was all to be underpinned by measuring success KPIs and reporting. The next steps for Chatham House involve a full website redevelopment project, with a user-centric design. The clear takeaway from Josie’s speech was the vital importance of working together. Combining strategic partnerships with strong internal relationships has seen positive results for Chatham House (with website growth climbing from 40k to 260k monthly visits). Digital champions throughout the organisation are placed to provide training in necessary skills and to break down the barriers of communication. Finding the right external support is important, but the core digital team remain at the heart of the project. This team has grown from just a single person to a group of 12 over the last seven years. With growing collaboration between the research and digital outputs, Chatham House hope to enhance their international reach for a wider and more diverse range of audiences. BASF are the world’s leading chemical company, combining economic success with social responsibility and environmental protection. With over 115,000 employees and sales upwards of €64,000 million, BASF have always been sure to maintain their position at the cutting edge by carefully protecting their intellectual property. As the global leader in their industry, it is vital that the entire BASF digital platform is accessible in over 50 local languages. Unfortunately, to allow for this level of functionality, it became clear that each string of code needed to be crawled and translated individually. Operating across multiple sites, in multiple languages, for multiple brands, the obstacle grew exponentially. 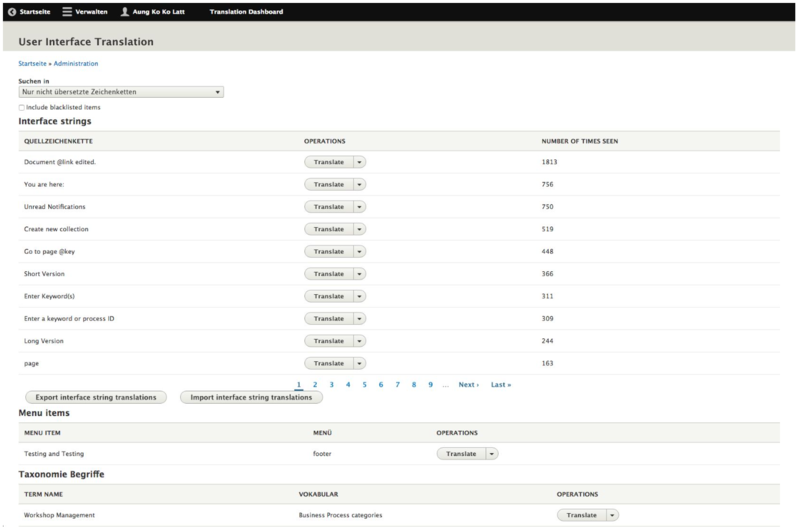 With a collection of 146,880 strings, translation presented an unsustainable issue, in terms of time and budget. As with most seemingly impossible scenarios, the solution is beautifully simple: BASF required a mechanism to flag and filter relevant strings. By focusing on those strings most urgently requiring translation, the overwhelming workload becomes manageable. With the right connections we were led to the right solution, utilising the collective power of the Drupal community. From there, untranslated strings can be arranged by order of the most viewed, to ensure a priority system for the inevitable translation of any multilingual site. As any translations need to be maintained continually, this new interface streamlines the system for all future development. Despite concerns during the project, Drupal 8 was presented as the right choice once again. The flexible extensibility of the platform has enabled BASF to maintain competitive advantage. Most importantly, BASF learnt that open source is not about saving money. The principles of open source enabled the shared problem to result in a mutual solution. The contribution made as part of the BASF project has dramatically increased Drupal’s core capabilities, for all. The digital transformation here resulted in a tangible, code-based output, but also in a noticeable shift for the company’s mindset. Sometimes intellectual property can increase in value once it is shared. On Thursday morning, the Digital Transformation track will look to the future. The founder of Drupal, Dries Buytaert, alongside key players from Google, Mautic and the Drupal Association, will discuss life at the forefront of the digital industry. This keynote session will address the opportunities, as well as the responsibility, that come with leading one of the largest open source communities in the world. You can catch the Drupal Europe speeches live streamed on Youtube. Or, to find out how you can undertake your own digital transformation with Drupal, speak to one of our Digital Strategy and Consultancy experts.